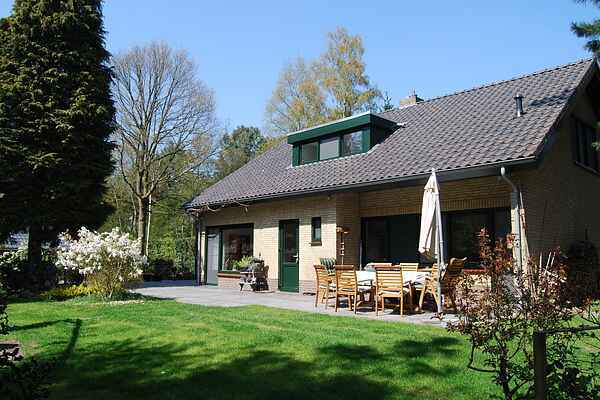 This holiday home is in the village of Venhorst in the Province of Brabant. The home is at the edge of its own wood. The wood covers around one hectare. The home is comfortably furnished and has every convenience. You'll have plenty of opportunities to relax here. You can enjoy the swimming pool and the sauna. Both are at the guest house next door and have a private entrance. The veranda is just the place to enjoy a drink in the evenings, you may see rabbits and squirrels in the garden. The surrounding area has something for everyone. The Billybird Theme Park Hemelrijk is 10 kilometres away. You can also enjoy the De Bergen Recreational Pond in Wanroij. Arcen Castle Gardens are well worth a visit. Nijmegen, Den Bosch and Eindhoven are excellent for shopping.